One glance at the sidewalk at any given time of day or night proves Boston is a runners’ city. But if you can’t quite motivate yourself to pound the pavement alone, check out one of these run clubs. 1. The Brighton Bangers: This group meets in Oak Square on Wednesdays at 7 p.m., and Saturdays at 9 a.m. Wednesday runs are paired with post-workout socializing at the Last Drop. 2. 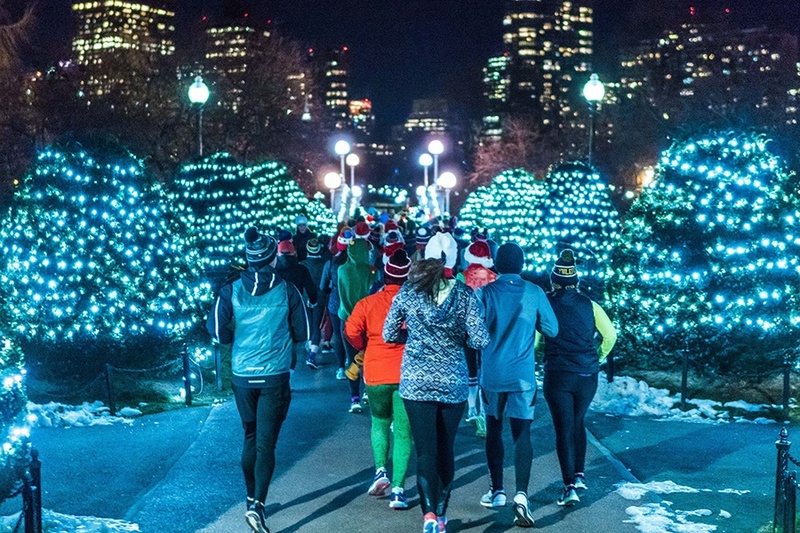 Boston Midnight Runners: Every Tuesday, the Boston branch of this national group, meets at 7 p.m. sharp for a 10k run interspersed with bootcamp exercises and music. On Sundays at 10 a.m. they offer a long run followed by lunch. Locations for each run change, so be sure to check the website. 3. The Burren: Why not have dinner and a run? This Somerville joint hosts 5K fun runs on Mondays at 6:45 p.m., which end back at the restaurant. 4. 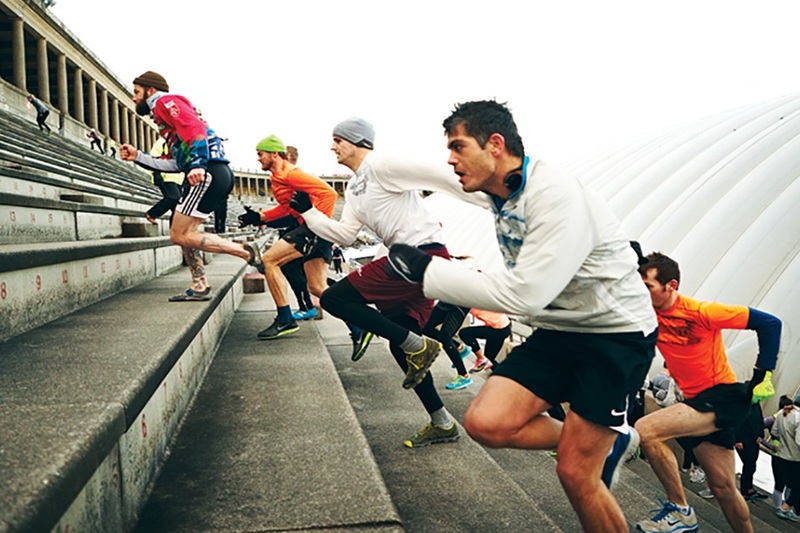 Community Running: Don’t worry if you’re not fast enough, this group is here for all runners. They meet every Monday and Wednesday at the MIT outdoor track for coached workouts starting at 7:15 p.m.
5. Dashing Whippets Run Club: Choose among Saturday morning long runs at 8 a.m., which meet at the Under Armour Store in the Prudential Center during the winter and early spring, otherwise at the Boston Common. Tuesday night workouts at 6:45 p.m. are speed training at the MIT outdoor track. 6. Davis Square Runners: Tired of running the same routes? This group mixes up the length, location, and speed of its runs, so there’s something for everyone. Check the website for upcoming meet-ups. 7. Forest Hills Runners: This Jamaica Plain group hosts Tuesday evening tempo workouts; social runs on Mondays, Wednesdays, and Saturdays; and track workouts on Thursdays. 8. 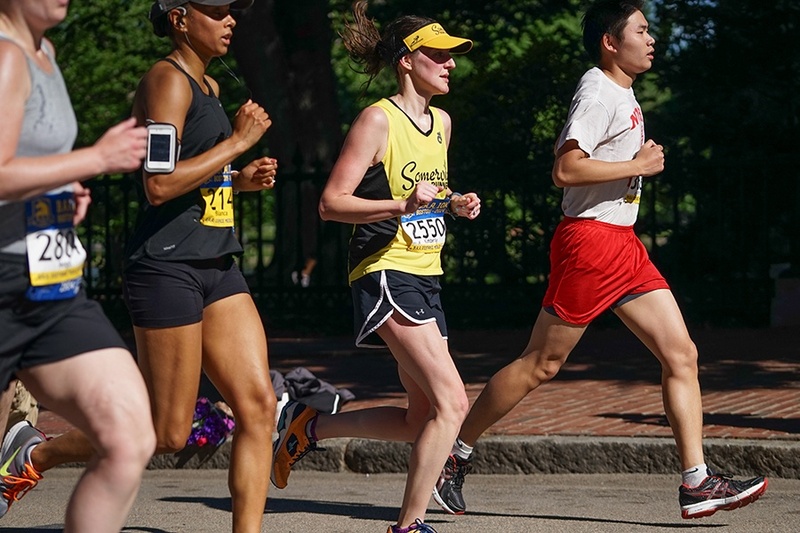 Frontrunners Boston: Specifically geared toward the LGBT community, this run group meets at the MIT Student Center on Thursdays at 7 p.m. and Club Café on Saturdays at 10 a.m. for social runs followed by brunch. 9. Heartbreak Hill Running Company: Both the South End and Newton stores offer all-levels running clubs. As a bonus, the jaunts are led by some of the best running coaches in the city. 10. L Street Running Club: This Southie group, steeped in tradition and giving back to the community, offers many different group runs on Tuesdays, Thursdays, and the weekends. Most runs range in distance from 6-8 miles. 11. Lululemon: Every Monday at 6 p.m., a running group departs from the Lululemon store in the Prudential Center. 12. Marathon Sports: Marathon Sports leads 13 different running groups in a variety of locations. Not only is the running free, you could score discounts and swag from the store. 13. The Most Informal Running Club Ever: This group is known for its Saturday runs along the Charles, and its potluck brunches. Run either a four-, six-, or seven-mile loop, then head back for a potluck breakfast. 14. Night Shift Brewing Running Team: Night Shift’s weekly run club sets out on Tuesdays at 7 p.m. for a 5K run. Enjoy some beers in the taproom afterward. 15. North End Running Club: Meet on the Greenway on Mondays at 6:30 p.m. for a social run through the North End. 16. The November Project: Arguably Boston’s signature free fitness group, the November Project meets on Mondays at 6:30 a.m. at a different spot each time, Wednesdays at 5:30 a.m. and 6:30 a.m. to run the Harvard Stadium stairs, and on Fridays at 6:30 a.m. to run the Summit Avenue hill. 17. Parkway Running Club: West Roxbury’s Parkway Running Club has a full schedule of group runs on Tuesdays, Thursdays, and weekends, with runs for athletes of all paces and endurances. 18. Run Fellow Run Club: Runners of all paces are welcome in this group, which follows routes through Somerville and Cambridge on Tuesday nights and through Boston on Thursday nights. 19. Somerville Road Runners: Live on the other side of the river? Hook up with this group for a weekly 5k fun run on Mondays at 6:45 p.m. beginning at the Burren Pub in Davis Square. On Thursdays the crew leaves from Casey’s Bar at 7:15 p.m. in an all-out sprint. And starting in the spring, they host outdoor track workouts at Tufts Ellis Oval at 6:30 p.m.
20. Stephi’s Run Club: Love running and eating? Stephi’s in Southie hosts a weekly running club on Mondays at 6:30 p.m., followed by appetizers and drinks. 21. 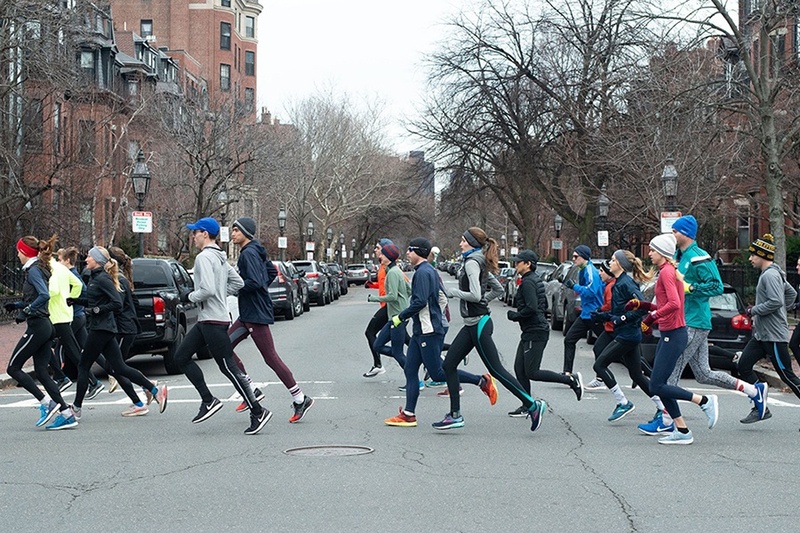 Trackhouse at Tracksmith Run Club: Led by Trackhouse coaches, this run group meets at the Trackhouse on Newbury Street every Tuesday and Thursday for timed speed and tempo runs, as well as on Saturday or Sunday morning for long runs.